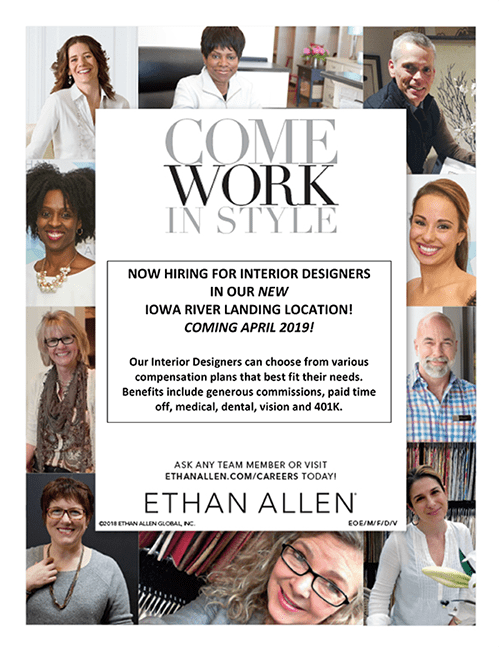 The new Ethan Allen at the Iowa River Landing is now hiring! Opening soon, Ethan Allen is looking to expand their team of Interior Designers. With various compensation plans, there is one that can suit your situation perfectly! Surround yourself with culinary delights and the hottest retail scene in the area with Ethan Allen at the Iowa River Landing.